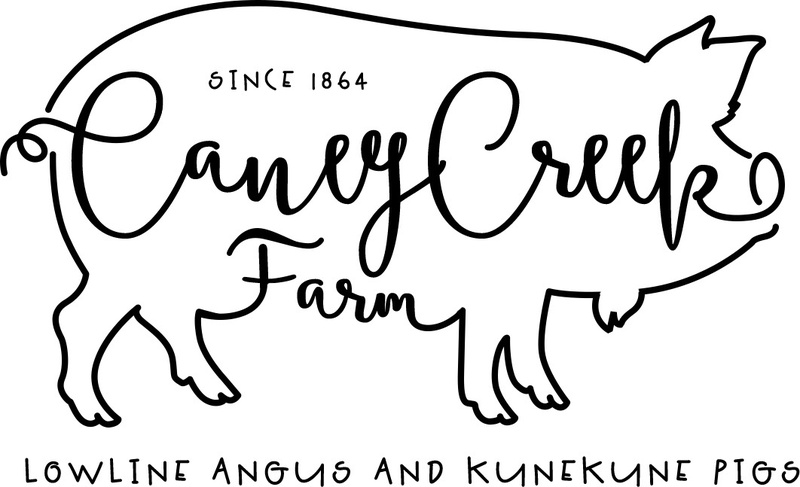 Caney Creek Farm can be found in the rolling hills of New Hamburg. New Hamburg is a small village in Southeast Missouri. The Glastetter's have been farmers long before they sailed over from Germany in 1858. This property has been part of our family since 1864. Caney Creek Farm now consists of over 100 acres of rowcrop, pastures, woodlands/grasslands, and wetlands. I raise registered American Aberdeen (Lowline Angus) Cattle for grass fed beef and registered breeding stock. My herd is still growing and I'm constantly striving to improve our stock. I also raise registered Kunekune pigs for pastured pork and registered breeding stock, or (for those who wanna cuddle a pig) pets as well. Not to mention my pastured poultry, a breeding flock of Blue Laced Red Wyandotte chickens, for meat, eggs, and chicks. Nothing like farm raised beef and pork, with free range eggs too! 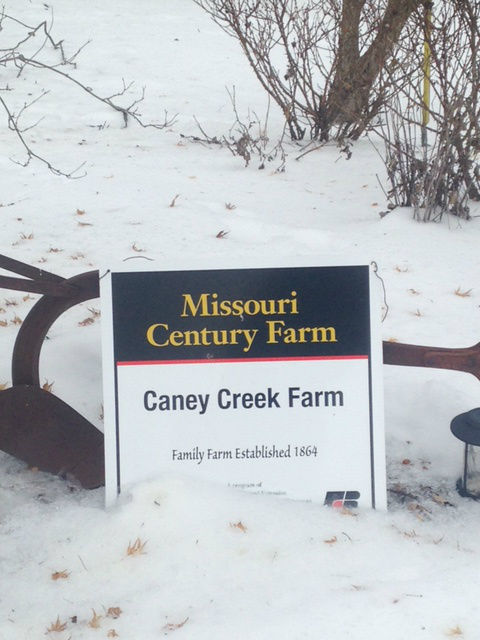 Caney Creek Farm is a proud Missouri Century Farm.